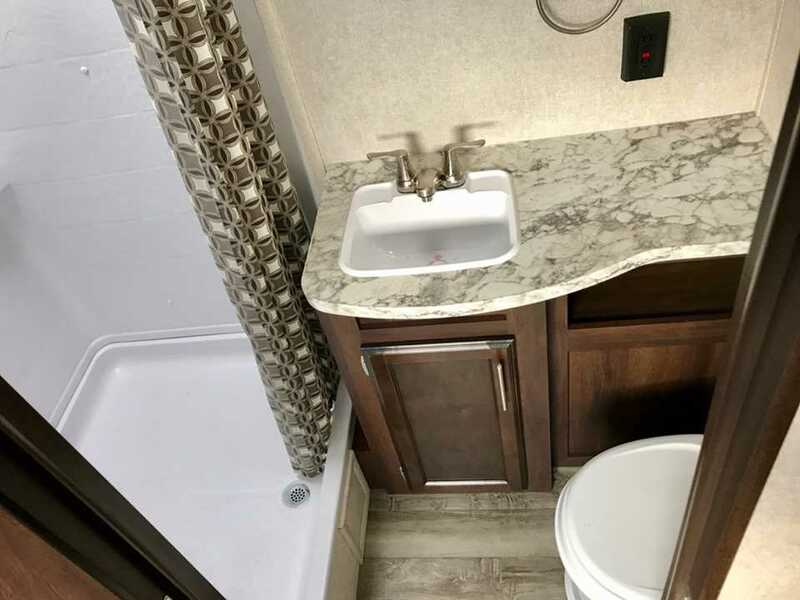 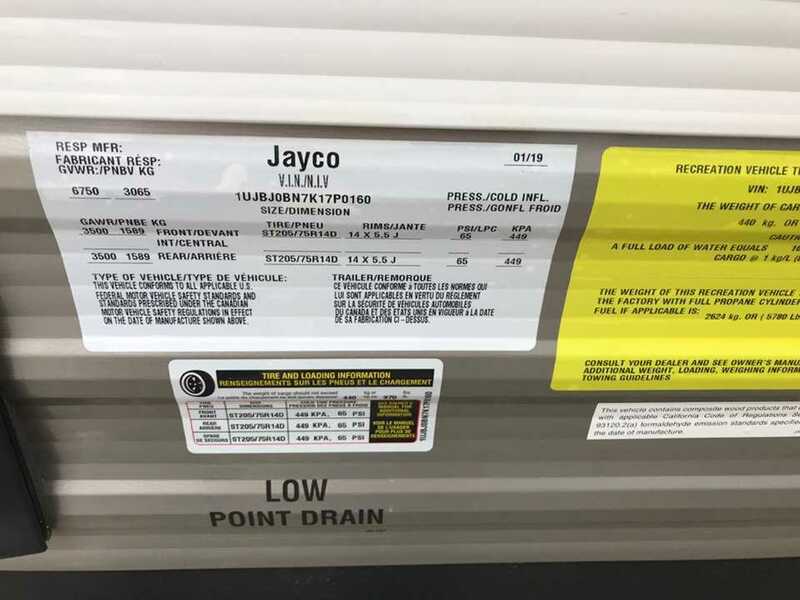 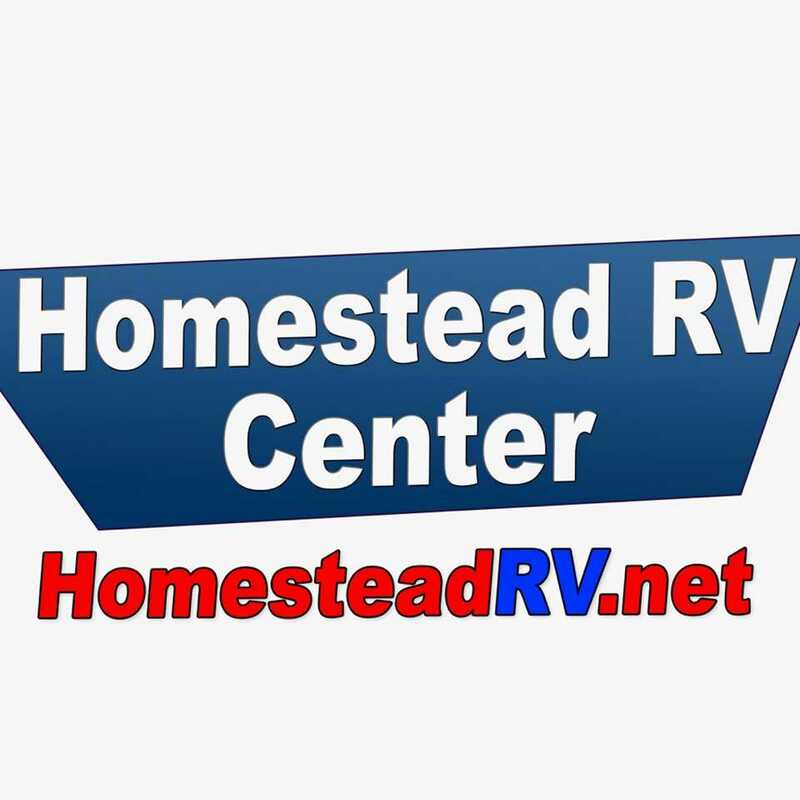 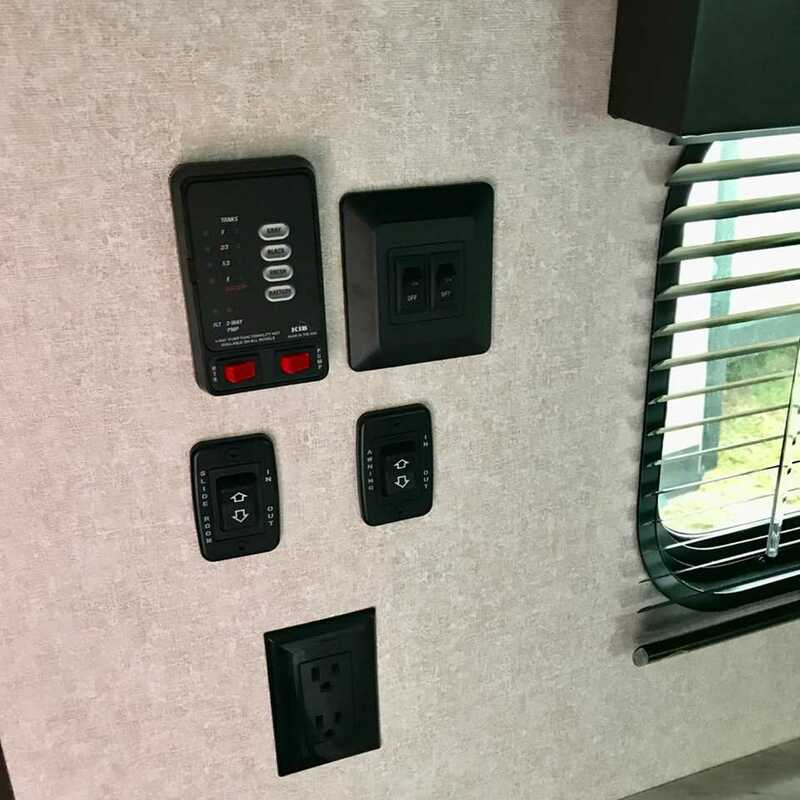 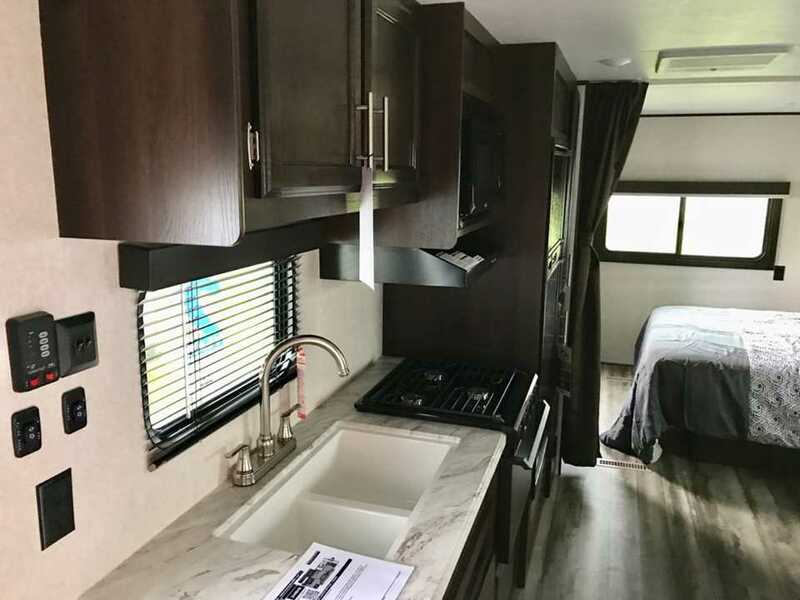 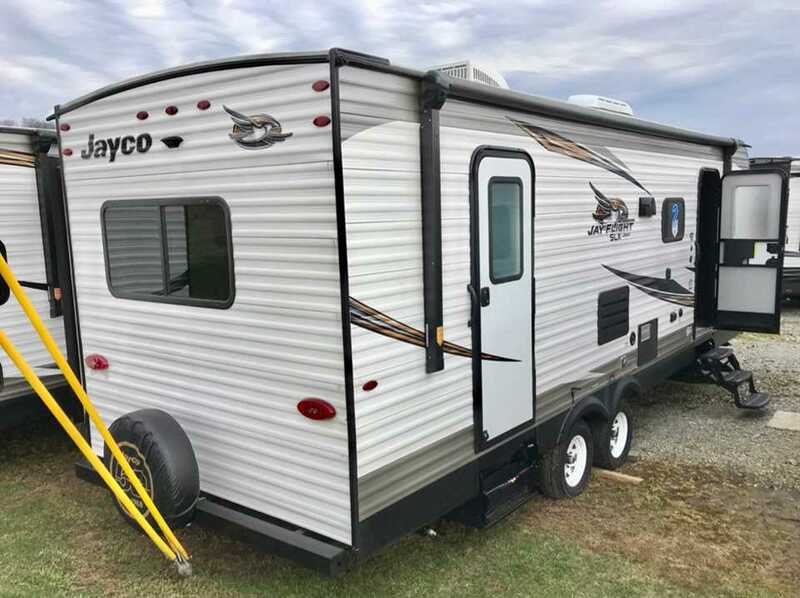 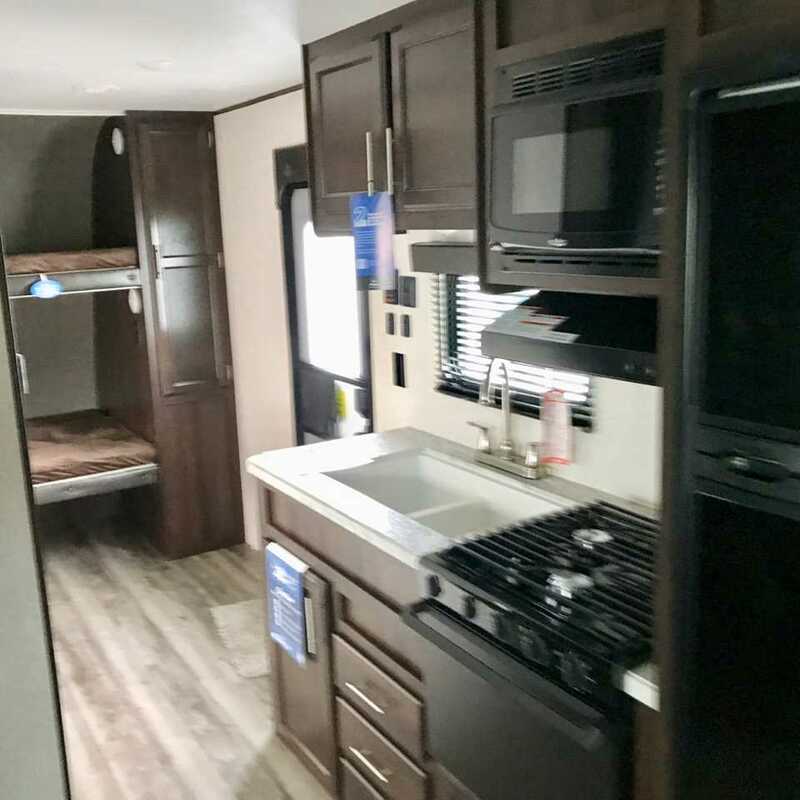 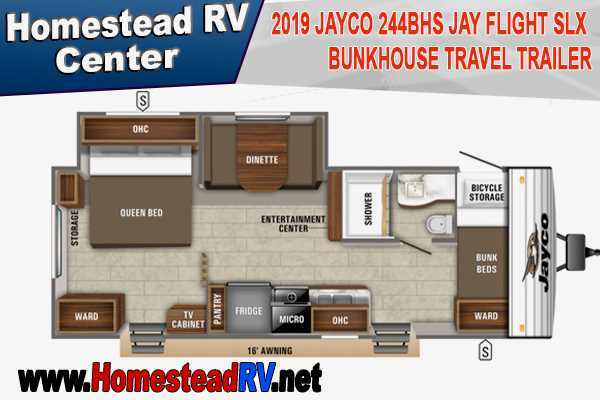 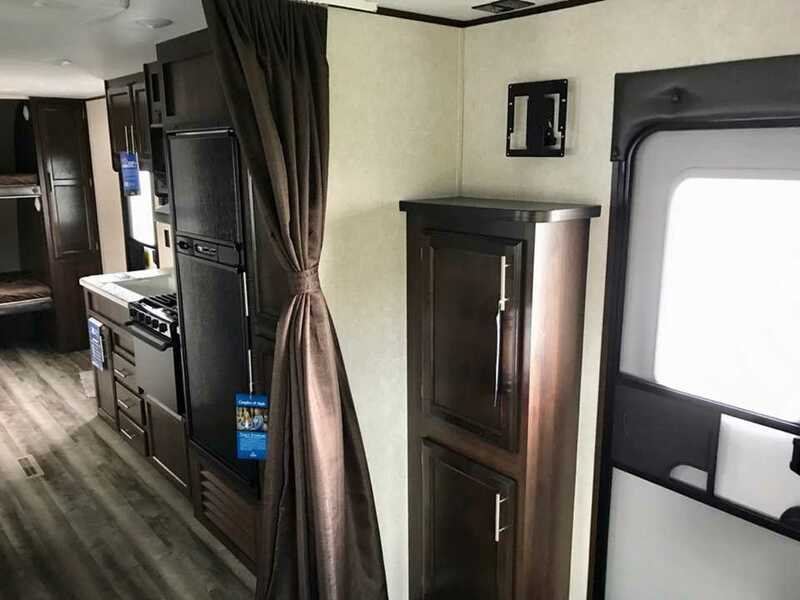 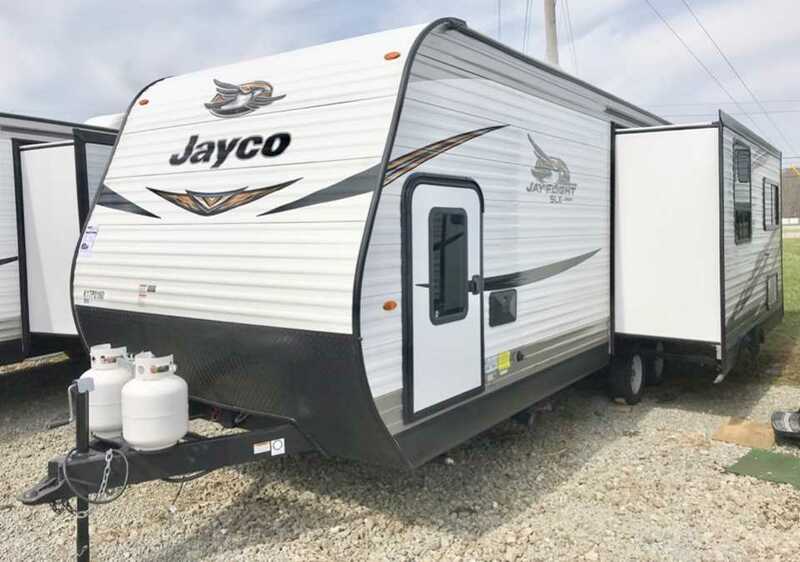 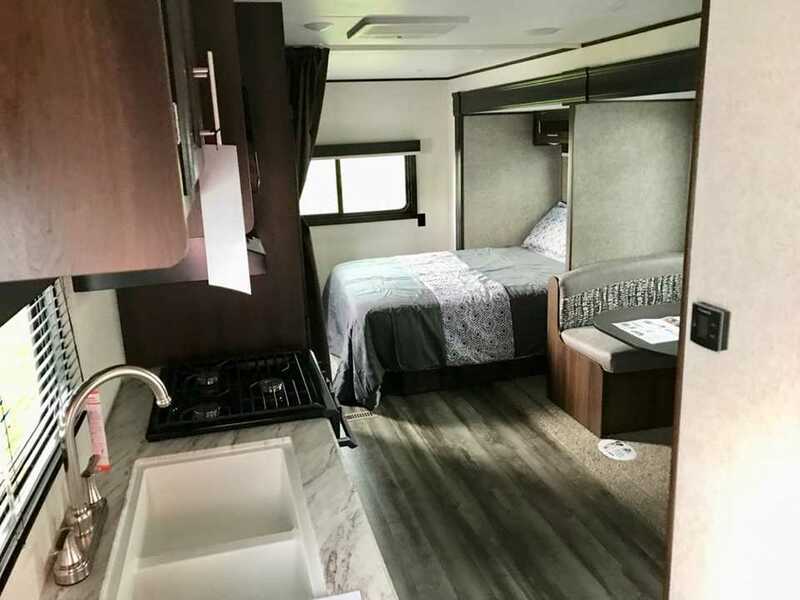 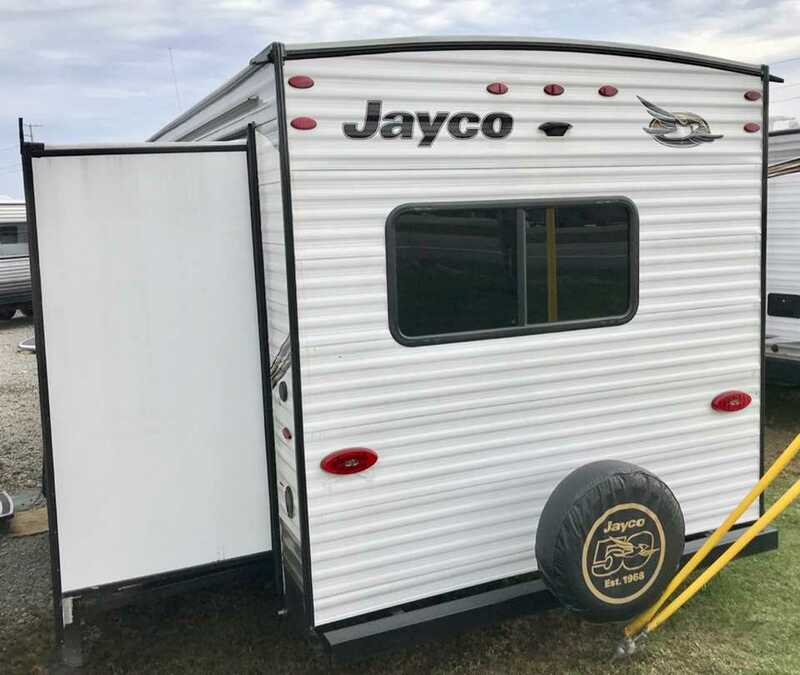 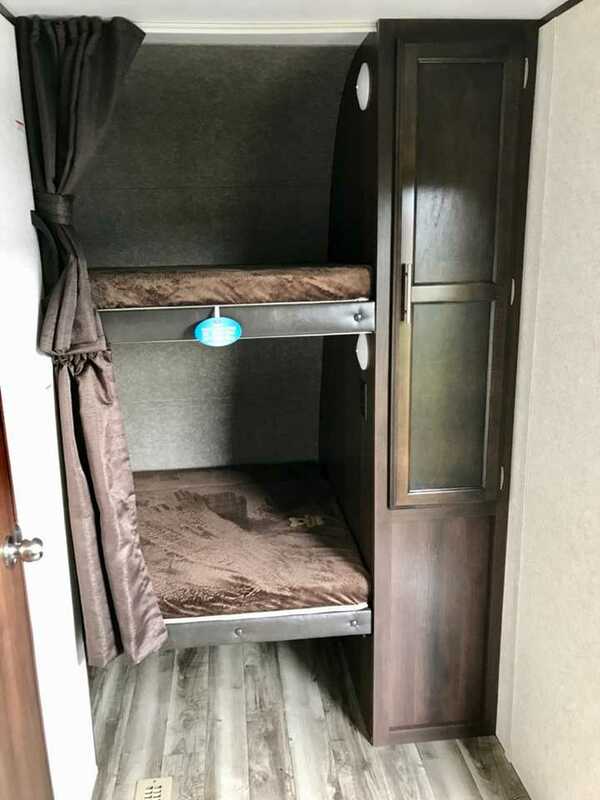 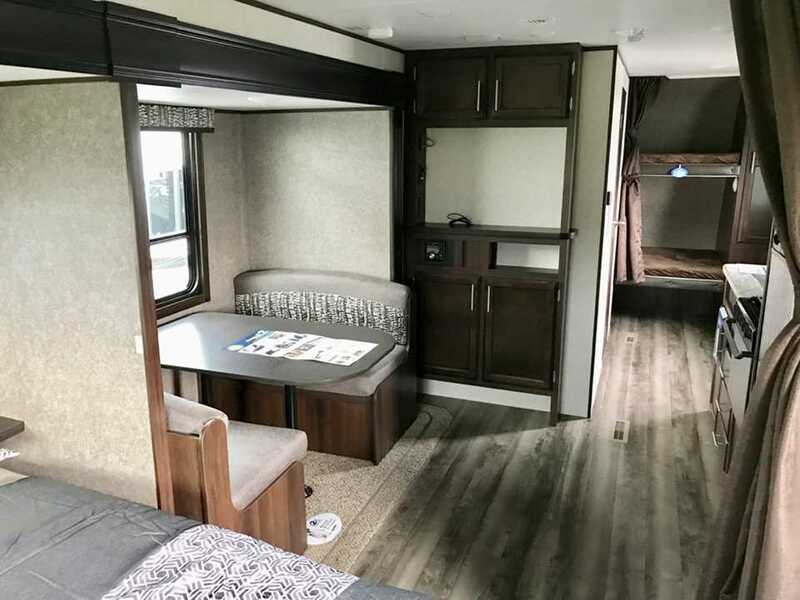 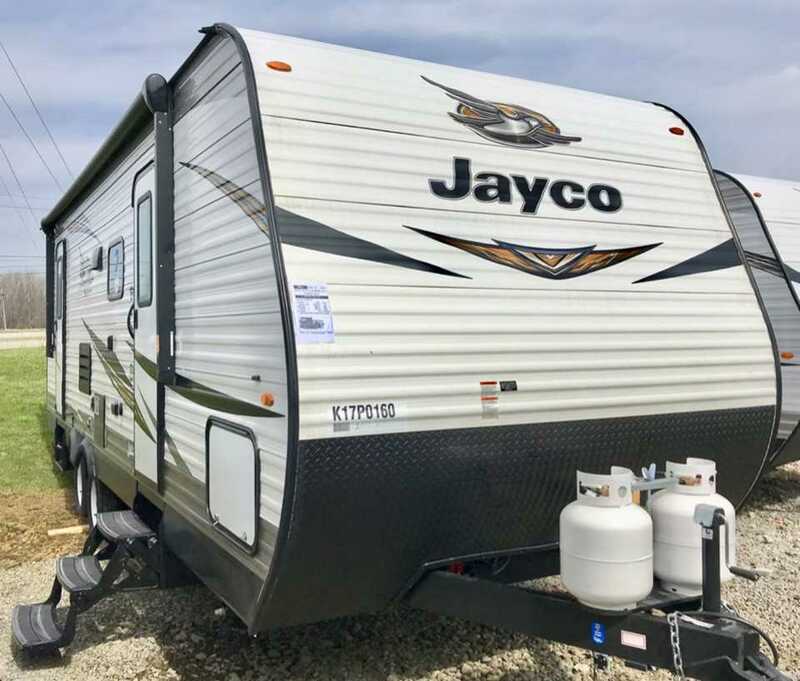 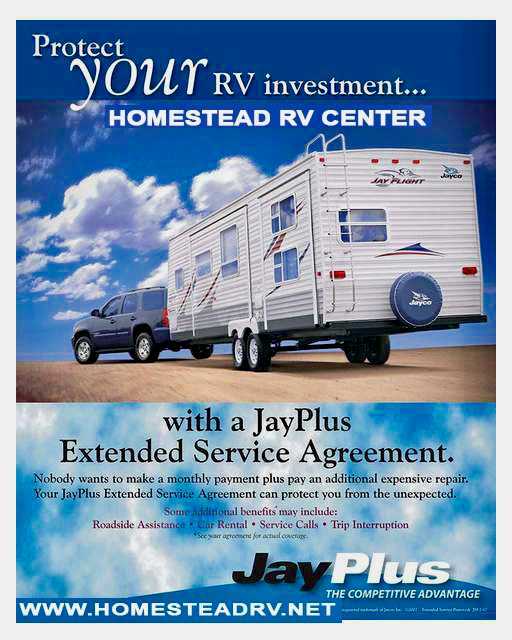 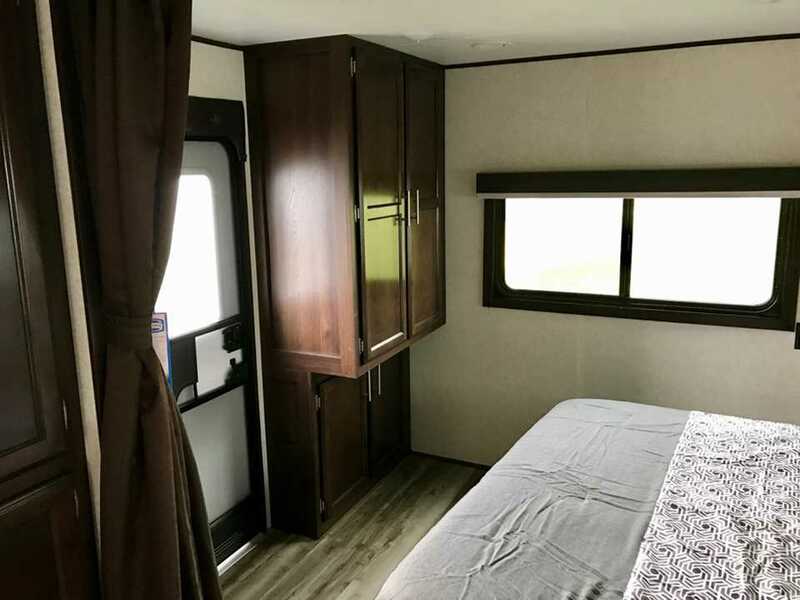 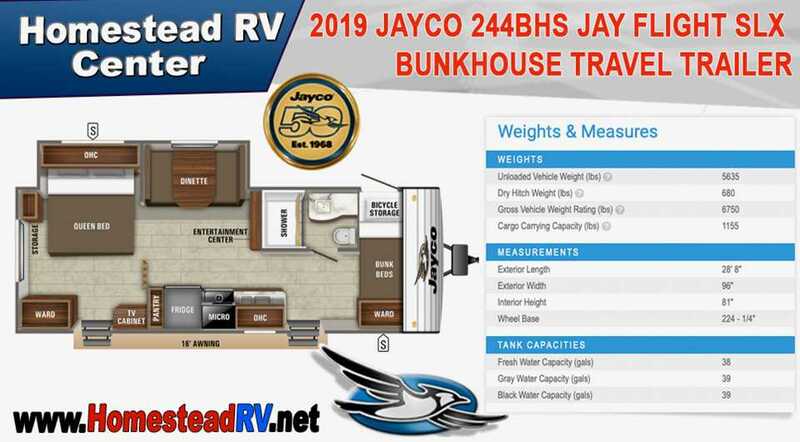 Jay Flight SLX 244BHS floorplan by JAYCO. 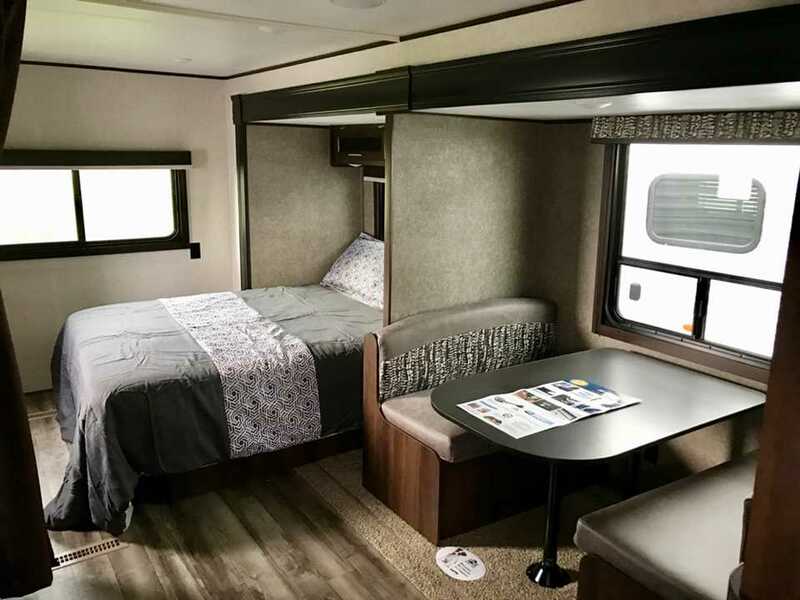 Enclosed Underbelly, Bedspread w/ Shams. 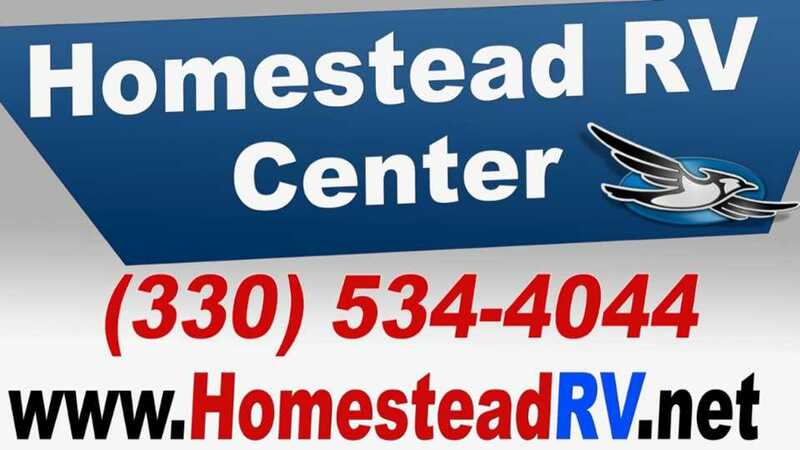 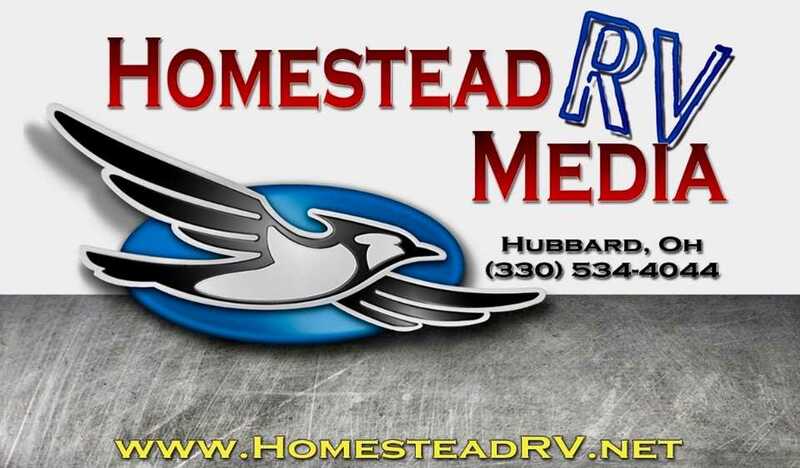 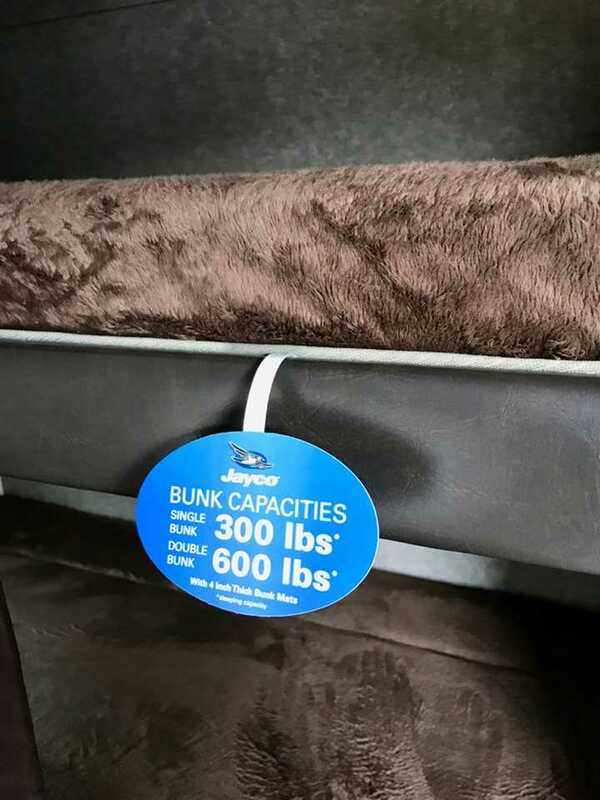 AC Size13500 BTUsAxles2Black Water39.0 GallonsBox Length28' 8"Carrying Capacity1,155 lbsConstructionWoodDryweight5,595 lbsFresh Water38.0 GallonsGray Water39.0 GallonsGVWR6,750 lbsHeight11' 0"Hitch Weight670 lbsLeveling JacksFront Manual / Rear ManuaLP Capacity40Self ContainedYESSleeps6Slide Outs1Tire SpecsGoodyear 15 Inch RadialWater Heater Size6 GallonsWidth8' 0"